Seattle, WA, March 24th – VillageReach, the Seattle-based social enterprise that increases access to quality healthcare for the most underserved communities, today announced President Allen Wilcox has been has been selected as a 2014 Social Entrepreneur of the Year by the Schwab Foundation for Social Entrepreneurship, in partnership with the World Economic Forum. The 37 winners—who represent a number of sectors including education, health, environment and enterprise development—were selected in recognition of their innovative approaches and potential for global impact. The Schwab Foundation annually honors a select community of social entrepreneurs leading models of sustainable social innovation achieving large scale, systemic change. Past awardees include leaders of BRAC, Dimagi, Landesa and PATH. “I’m thrilled to see VillageReach recognized for its commitment to health system innovation,” said Allen Wilcox, President at VillageReach. “Driving innovation is core to our belief that there are new approaches to improve global health effectiveness and efficiency. It is through strong collaboration with both public and private sector partners, and the communities in which we work, that make change possible. We are excited by this opportunity to exchange ideas, learn, and partner with others to extend the reach of quality healthcare to all communities, no matter how poor or remote.” The awardees will become part of the broader Schwab Foundation community of Social Entrepreneurs, which includes 250 outstanding social entrepreneurs from 60 countries. Schwab Foundation Social Entrepreneurs are fully integrated into the events and initiatives of the World Economic Forum. They contribute actively to and benefit from peer-to-peer exchanges with other social entrepreneurs as well as interactions with top leaders in business, government, civil society and the media. VillageReach develops, evaluates and implements system innovations that address key barriers at the lower levels or “last mile” of the healthcare delivery system by streamlining health service delivery, enhancing information systems, and engaging the private sector. 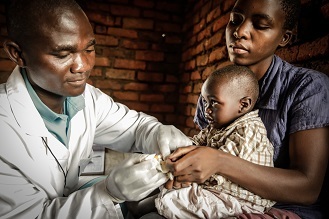 Through collaboration with public and private sector partners, VillageReach scales and sustains these innovations to increase access to quality healthcare for the most underserved communities.